I love going to H-mart, they have lots of sales, they have awesome ice cream, and did I mention that I love their sales? I swear half of the reason I go to H-mart is to see what they have on sale & the other half is to see what kind of ice cream is on sale!! 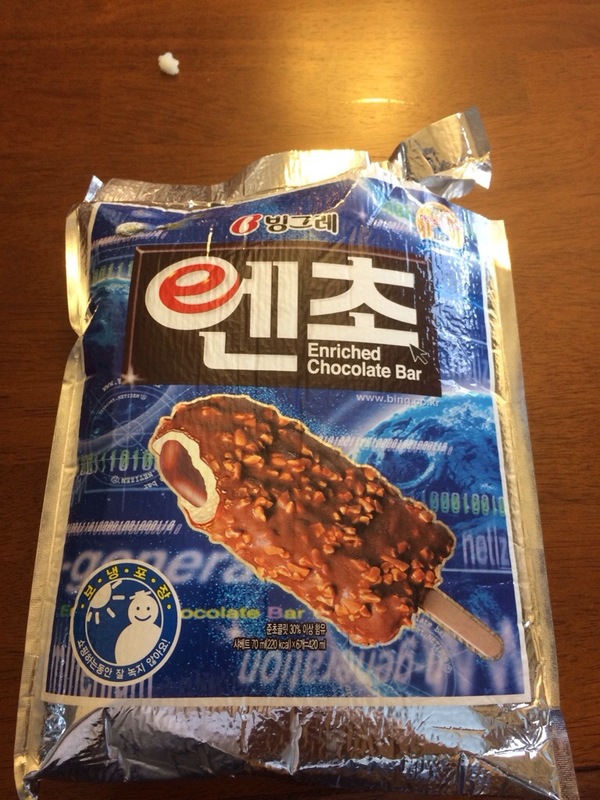 Today’s ice cream pick was Binggrae’s Enriched Chocolate Bar/빙그레 엔초. 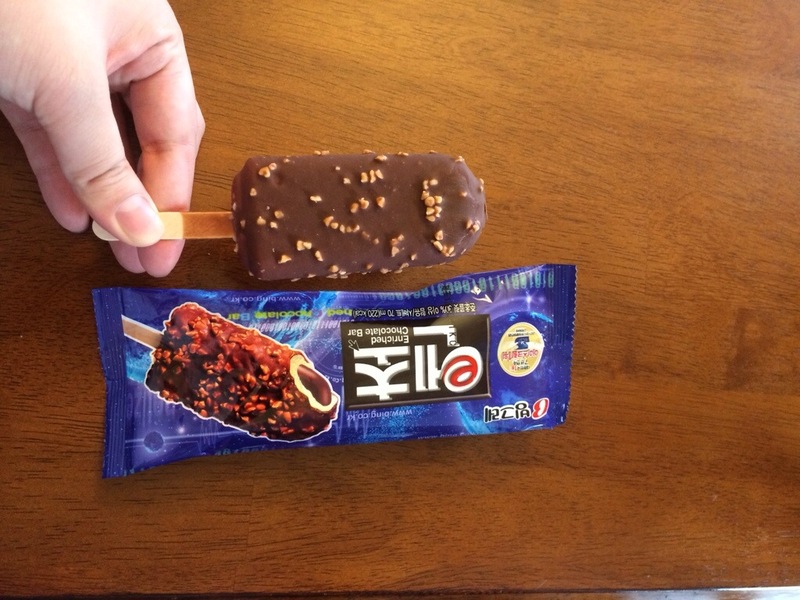 Comparison of product to packaging; it seems significantly smaller 😦 My siblings and I were hoping that it would be similar to a Häagen-Dazs but it wasn’t… Oh well.